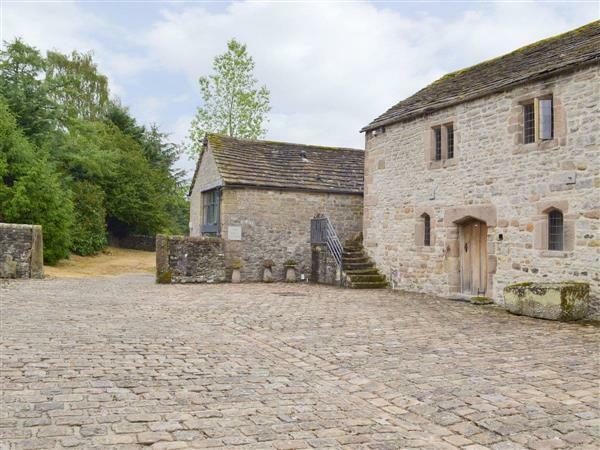 The Chapel, Harthill Hall in Alport, Nr Bakewell, Derbyshire sleeps 6 people. Take a beautiful Peak District National Park setting, just 3½ miles from Bakewell, add a historic hall (first recorded in the Domesday Book), and an ancient cluster of listed buildings converted to form superb holiday cottage accommodation....and the result is the captivating blend that is Harthill Hall. Nestling in 14 acres of grounds on an upland called Priest’s Hill with excellent walking available from the doorstep, the properties (refs RAA1, RAA2 [De Ferrers], RAA3 [Hartle], RAA4 [Manners], RAA5 [Harthill Barn], RXX7 [Priesthill], RXX8 [Henry’s Haunt], RXX9 [Cokaynes]) have the use of an extensive range of leisure facilities including anindoor heatedswimming pool, sauna, solarium and treatment rooms. Noble names have woven the threads of the hall’s long history including Henry de Ferrers, the Cokaynes and the Harthills. Henry VIII is also believed to have stayed at the hall. A 13th-century building dating from 1296 with magnificant displays of medieval stonework. Step to flagstoned entrance. Living room with mullion windows. Dining-room with exposed stonework and flagstone floor. Kitchen with medieval stonework, mullion windows, flagstone floor and door with steps leading to south-facing terrace. First floor: Two double bedrooms, one with Victorian brass bed and TV, one with antique oak four-poster bed and en-suite bathroom/W.C. Twin-bedded room. Bathroom/W.C. with over-bath shower. For a better idea of where The Chapel is, you can see The Chapel on the map below. The Chapel is in Derbyshire; should you be on the lookout for a special offer, you can find all the special offers in Derbyshire. It's always worth checking to see what is on offer at the moment. Do you want to holiday near The Chapel (RAA1), you can see other cottages within 25 miles of The Chapel; have a look to find your perfect holiday location.